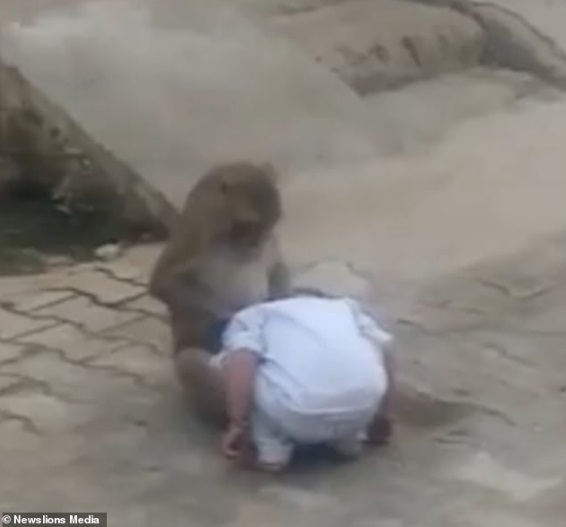 Family members of a 2-year-old boy were given the shock of their lives after a monkey kidnapped the little boy. A monkey kidnapped a two-year-old boy from his home in India so it could have someone to play with and it refused to give the boy back to his family, according to Dailymail. 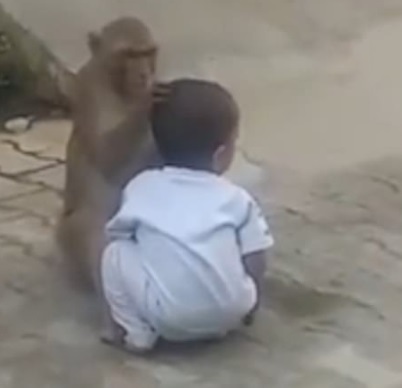 In a video shared online, the monkey can be seen playing with the boy by the roadside. The monkey is seen at a point trying to remove something from the child's hair. A woman sees the baby and can be seen approaching to save the baby, but the monkey hugs the baby repeatedly and refuses to let it go. 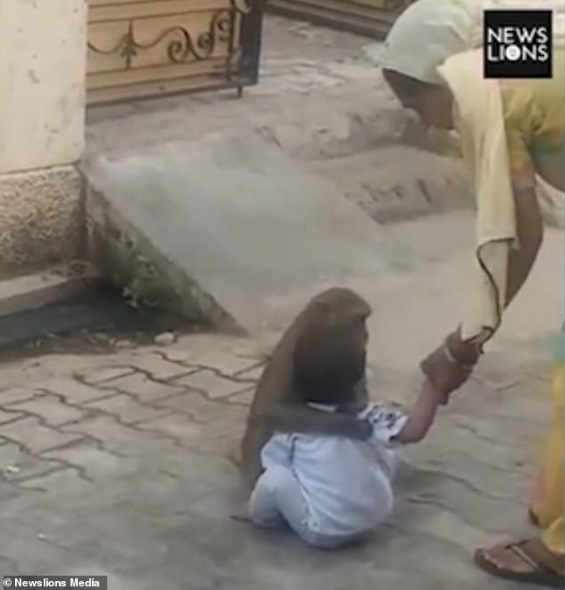 As the woman tried to take the child, the monkey hugged the boy and refused to let the woman take him along with her. When the woman saw that her attempts to retrieve the boy from the primate wasn't working, she retreated to assess her options. The baby is thought to have been taken from a house in Haryana, India. There have been other incidents of babies being stolen by monkeys in India. In another incident, a monkey entered a house in India and pinned a baby on the floor as family members of the child confronted it and prevented it from fleeing with the child. The monkey tried to escape with the child several times but members of the family circled it and aborted its plans. Also, last year, a newborn baby was found drowned in a well after being snatched away by a monkey. The monkey had mistakenly dropped the baby in the well as it slipped out of the hands of the ape and fell into the well.